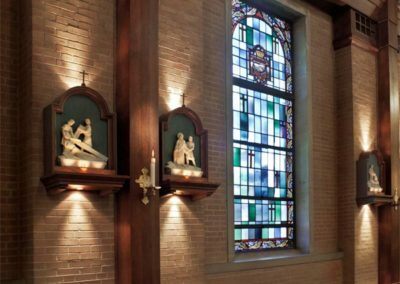 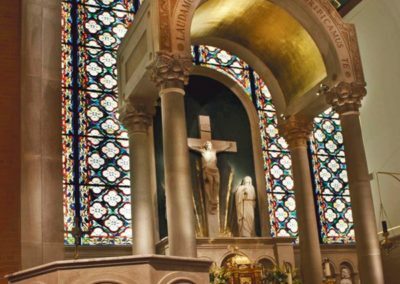 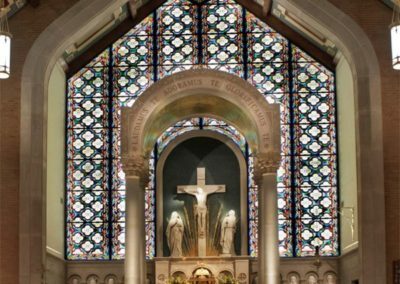 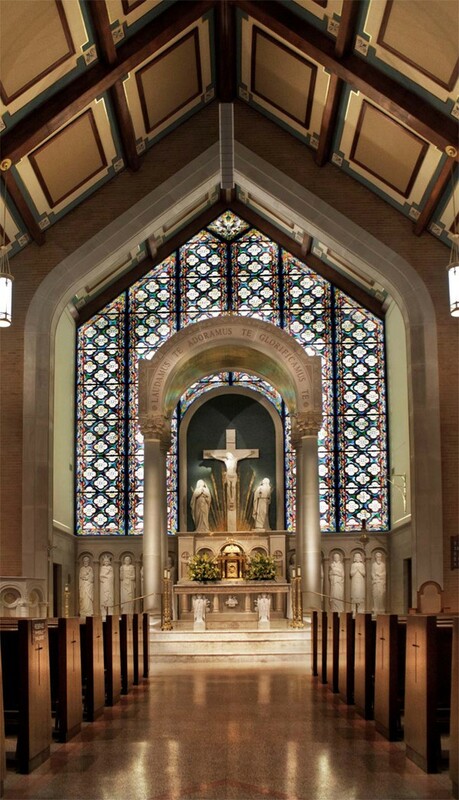 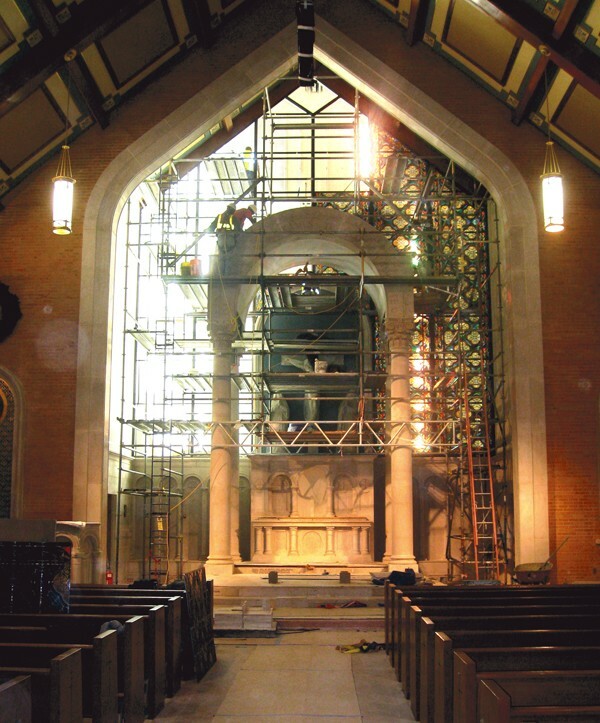 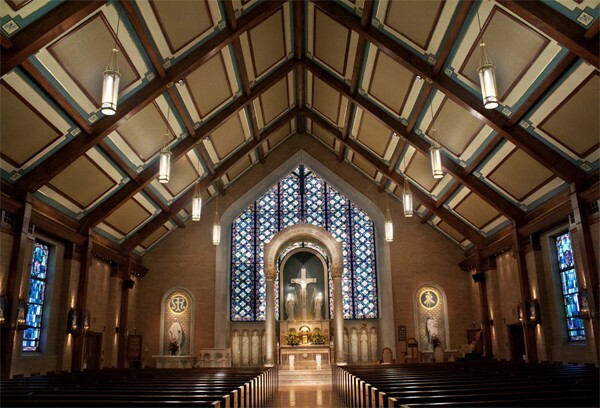 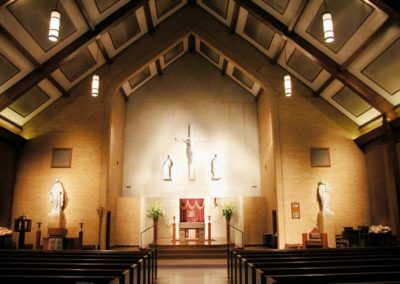 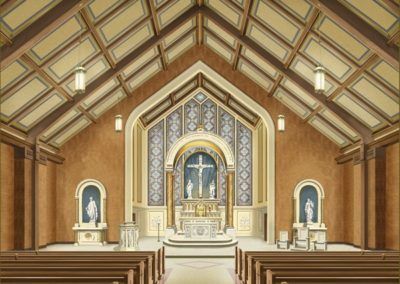 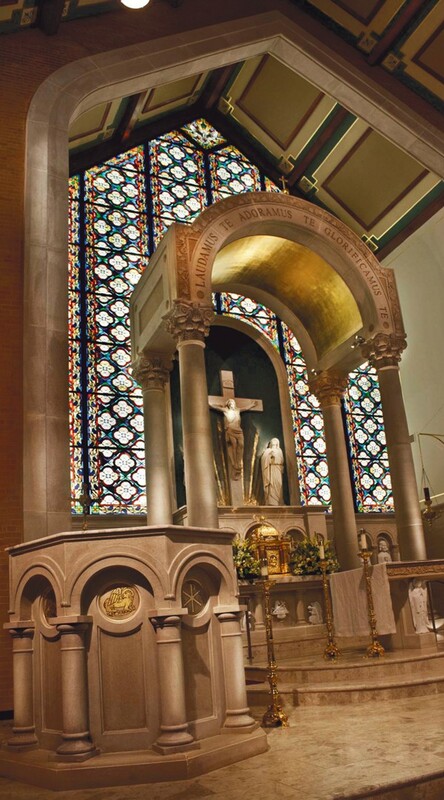 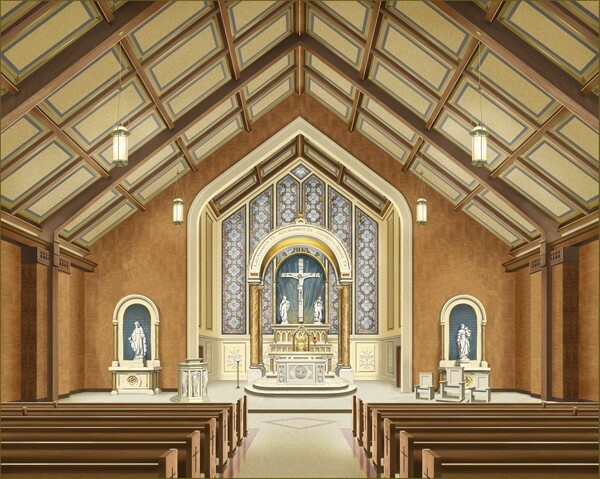 The beautiful restoration of St. Louis Church, Memphis, Tennessee started with pre-project coordination, consulting and a design rendering of the interior. 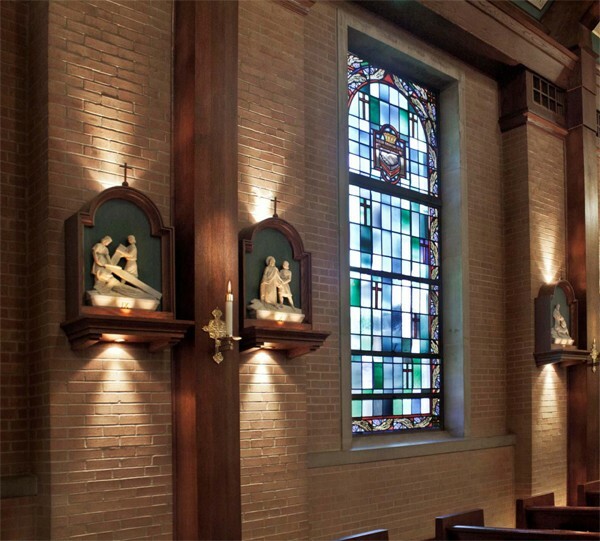 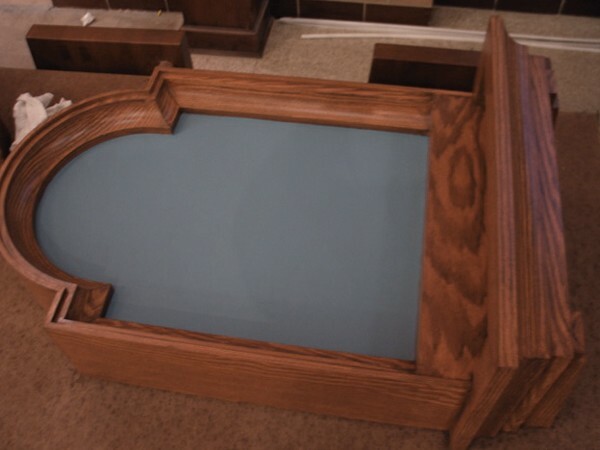 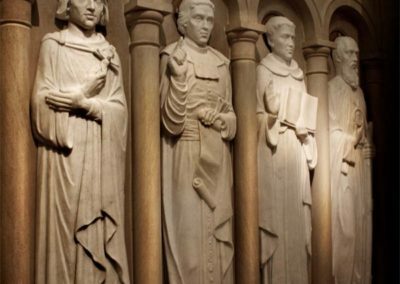 The new stations of the cross were one facet of the interior project. 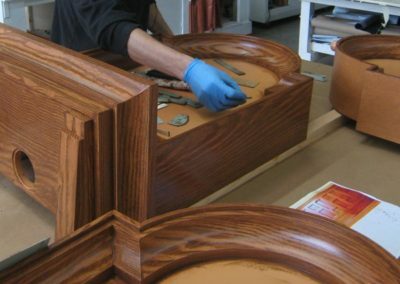 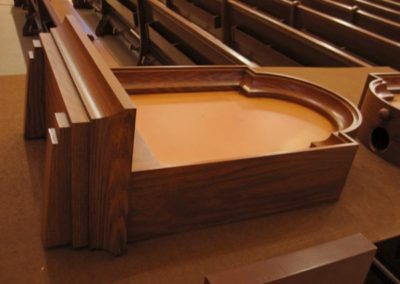 New stations were designed, fabricated, and the wooden frames delivered to the Conrad Schmitt Studios for the faux finishing of enhanced wood grain to match the rich wood tones of the restored interior. 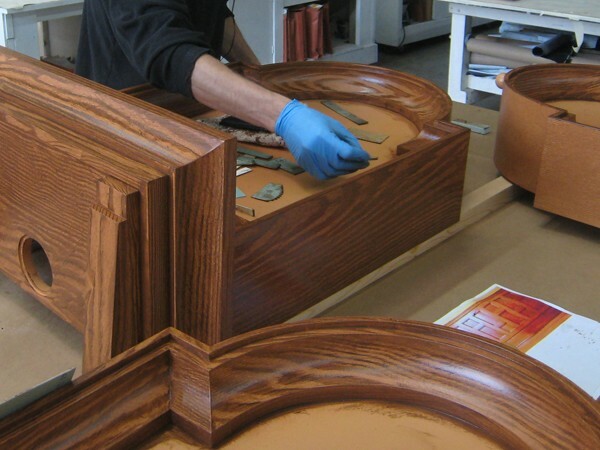 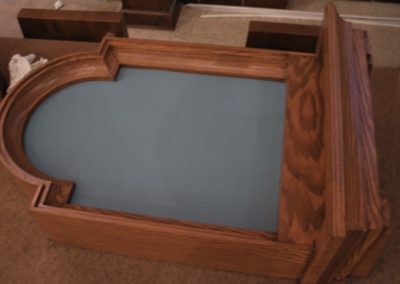 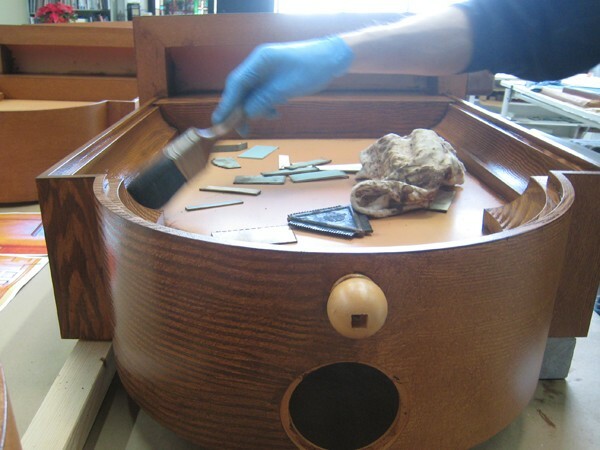 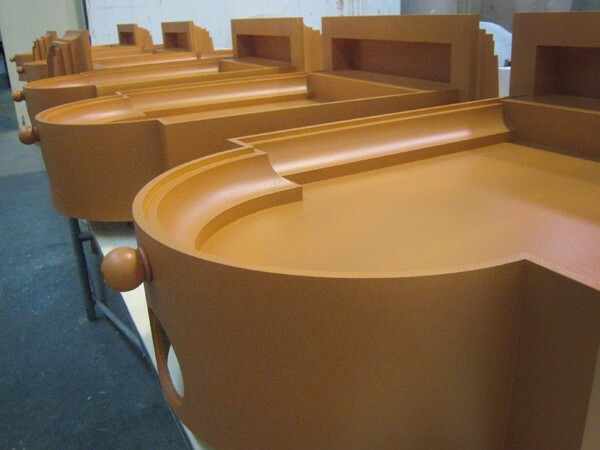 As seen in the photos, the faux finishing was a multi-step process with a base color and several layers of glaze added and malipulated to create interesting and unique wood grain effects for each station. 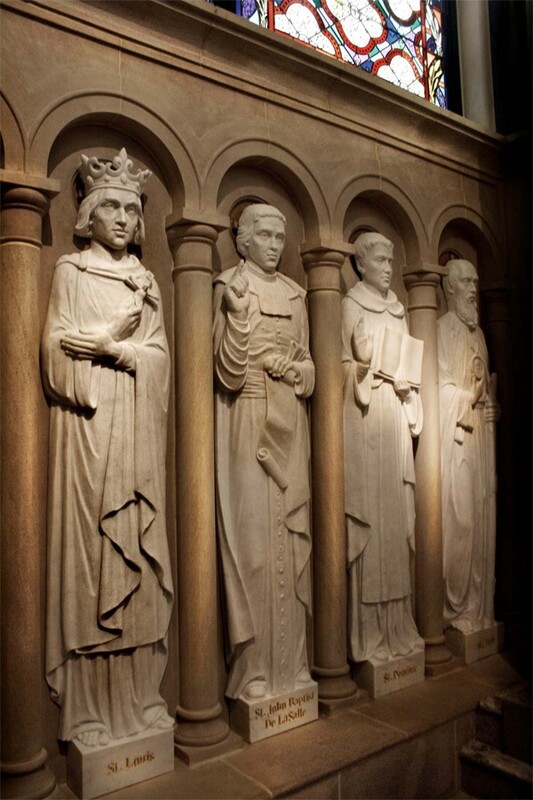 Stone relief figures were then affixed to the frames. 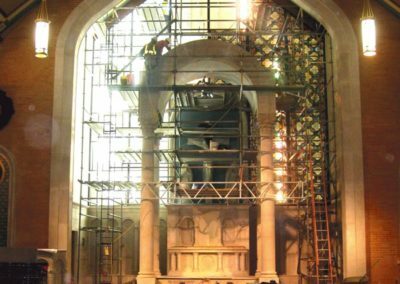 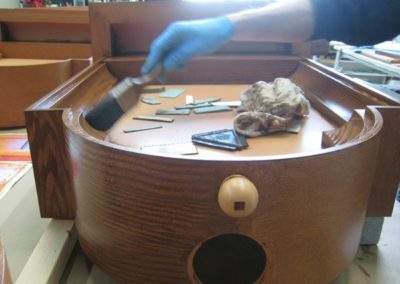 The interior restoration included many gilded surfaces, stencils, new stone carved statues, new fitments, painted and gilded ceiling coffers.